Faeena was a woman my mother used to know once upon a time. And not picking up pennies was a superstition that apparently dictated financial success or lack thereof. My mother shrugged and changed the subject to avoid an argument — which in this particular case was to my advantage because if she had asked me how picking up change had helped me over the years, I wouldn’t have had much evidence to present. I first heard about this strategy of attracting money a few years ago from a life coach who claimed that picking up change lead to her six-digit earning success. At that time I was a life-coach-business beginner and desperate for any tip that could help me build my own successful coaching empire. So I started picking up coins wherever I went. I picked up U.S. cents, Euro cents, and even Russian kopeks that were at the time worth less than broken pieces of glass littering the streets of St. Petersburg. Eight years into this routine and into running my coaching business I was no closer to six digits than when I started. Of course picking up coins wasn’t my only strategy. I have completed my coaching education with a coaching school that was deemed and is still deemed the crème-de-la crème of coach training. I certified with the same school by taking additional six months of instruction and two grueling certification exams. I added to my toolbox of skills by enrolling into continuing education with a school that offered training in another coaching specialty. I established and claimed expertise in a niche in which people had disposable income and thus could afford a life coach. I built a well-trafficked website. I developed a newsletter and grew my subscriber list by offering a free bribe to those who signed up. And I had the two elements that all coaches hailed as the key ingredients for success: passion for my work and a talent for coaching. Only none of it was helping. I sauntered along with two, maximum three clients, whose payments of $150-$200 dollars a month each weren’t even covering my groceries. I wasn’t alone in this conundrum. There were other newbie life coaches on industry listservs that posted their frustrations and questioned what they were doing wrong. I devoured those posts and the resulting suggestions with the attention of a meerkat. I tweaked my site, I worked on bettering my marketing message, I binge-read articles by seasoned coaches on business-building, I participated in master-mind groups with other beginners, and I expanded my range of offerings. I developed self-help materials, courses, and methodologies so that I could make money while I slept. I rolled out membership programs when they became a thing among coaches. I networked with the determination of babies trying to take their first steps. Yet nothing seemed to suffice. So after implementing every single trick suggested by veteran coaches, I gave in and hired a business-building coach. At that time while the influx of new coaches was driving the industry’s exponential growth, social media was driving the Internet. 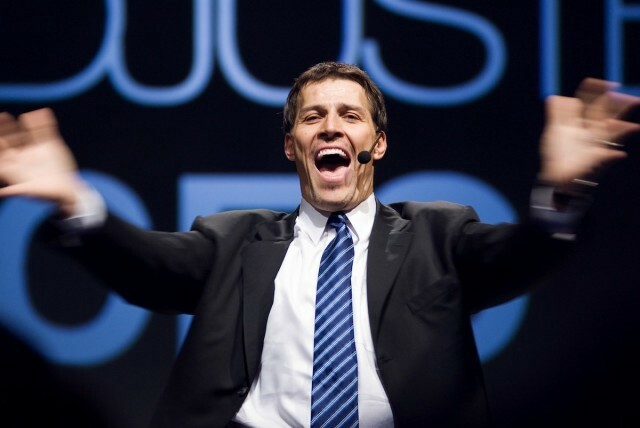 Put together those two phenomena resulted in throngs of coaches, both seasoned and not, marketing themselves as the-go-to resources for Tony Robbins-like success. They wrote articles, recorded videos, and gave free introductory workshops on how their methodology could take any new coach and make an industry giant out of them. Their answers to newbie’s questions on listservs were followed by signatures longer than the answers themselves and always contained a link to their über-useful content and testimonials from clients who made six-digit leaps overnight. Since I was five years into my business and still making a pittance while working full-time and picking up coins wherever I went, it seemed that perhaps I should give one of those business-building coaches a chance. I enrolled into a 12-month mentor-coaching program with 20 other struggling colleagues. We split into smaller groups for peer support and five months after the program started, two out of four in our group were already having second thoughts. By the six month I dropped out. The program mirrored the free resources I already studied and although it provided accountability and inspiration, it was doing absolutely nothing for my business. The second participant in our group dropped out a month later. As frustrating as it was I didn’t want to give up. But at the same time I was becoming weary. And it wasn’t just the lack of income that drove my discontent. Conversations in both the listservs and now Facebook groups of coaches were increasingly reminding me of a Ponzi scheme. Whenever a subject of earning a living in a life-coaching field came up, the only coaches who claimed to make enough to support themselves seemed to be coaches coaching coaches. I had no statistical proof of the numbers, but the vibes were definitely there. And I wasn’t the only one getting those vibes. So I decided to do my own research. I put together a survey and distributed it among my colleagues. I wanted to see how many coaches were making a living in a niche that had plenty of disposable income. The results were dismal. Under 8% of coaches made a living wage and that included their income derived from individual coaching, group coaching, and coaching products. Although my sample wasn’t statistically significant the results were enough to sound an alarm, especially when paired with my impression that only coaches coaching coaches were earning a commensurate salary. And then there was the jargon. If before words like passion, authenticity, magic, and awe held inspiration, now they made me cringe. They flew out of the mouths of coaches who were courting those of us wanting to grow our business faster than a meteorite shower and reeked with phoniness. Every time I wanted to use one of those words with my clients I felt dirty. For me they were now the vocabulary of a marketing ploy that was constantly conspiring to sell me something. This terminology fatigue contributed to the decision that was slowly brewing. In addition to struggling financially, I was now losing my passion (ew, that word) for life coaching faster than coaches helping coaches were proclaiming theirs. So even though it wasn’t an easy decision to quit the business I spent 10 years building, I left and I never looked back — except to look at an occasional coin on the ground.